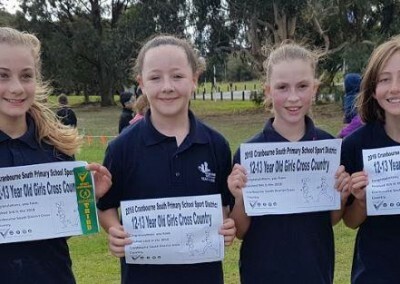 On Monday, 21st May, CSPS were represented by 42 students to compete in the inter-school district cross country at the Cranbourne Racecourse Complex. We would also like to acknowledge those students who gave up their lunch breaks to come and train. When you train hard, rewards will come, and in this case you all managed to beat your own fastest times. Congratulations all round! To our parents; thank you for all your support! To see you all out there cheering the children on, and giving them the encouragement that they were needing. Thank you! 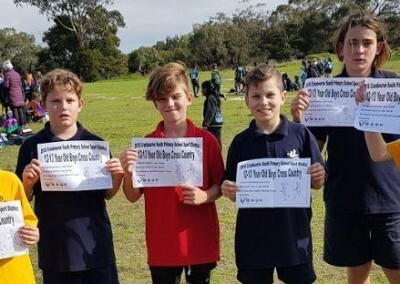 Congratulations go to Emerald W, Hannah B, Ebony J, Toby V, Jacob S, Angel J, Beau S and Hayden M who will be heading off to the School Sport Victoria Casey South Division Cross Country, to be held on Wednesday 30 May 2018. Well Done! Training will commence this Wednesday, bring a change of clothes and a passion to train even harder. 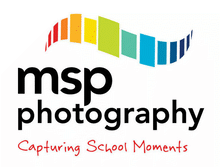 Persistence, Positivity, Passion and Pride is our partnership to success.